If you bought anything online, you have probably been exposed to upselling, cross-selling and bundling. These techniques are the art and science of introducing the customer to better or complimentary products to what they are about to buy. Offline retailers have been doing these techniques for the longest time (think about McDonalds and their famous Do you want fries with that? mantra). Online retailers such as Amazon have perfected the art of product recommendations, which contributed as much as 35% of their revenue in 2006. A study by Barilliance found that personalised product recommendations contributes up to 31% of revenue of eCommerce sites in Q4 2014. 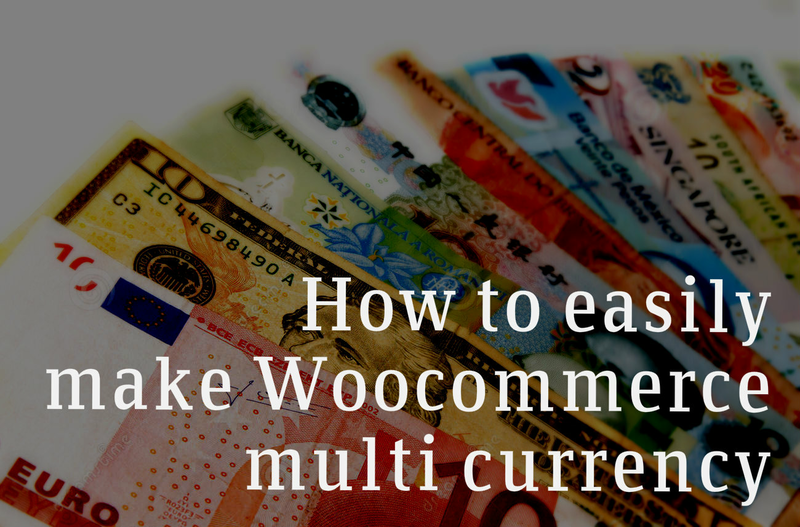 With these astonishing stats, you can’t afford not to use these strategies in your WooCommerce store. However, there are a few different ways to implement those, and in this article I will go through the common and the less common (and perhaps most effective) way to do it. 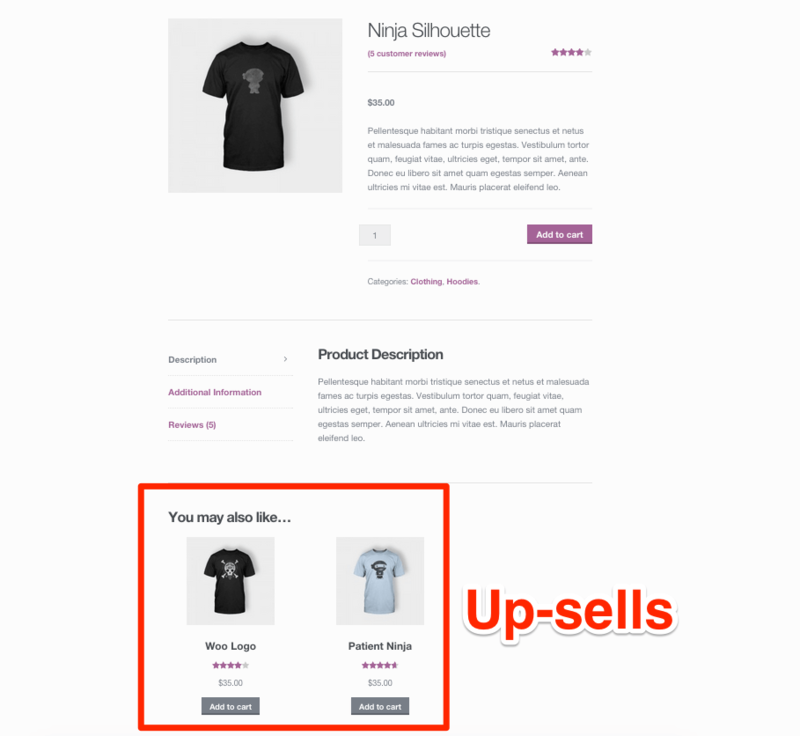 Upsells are products which you recommend instead of the one the customer is currently viewing. These are products generally more profitable for you and represents an upgrade in quality for the customer. These usually displays in the product page, although the position will depend on the theme you are using. 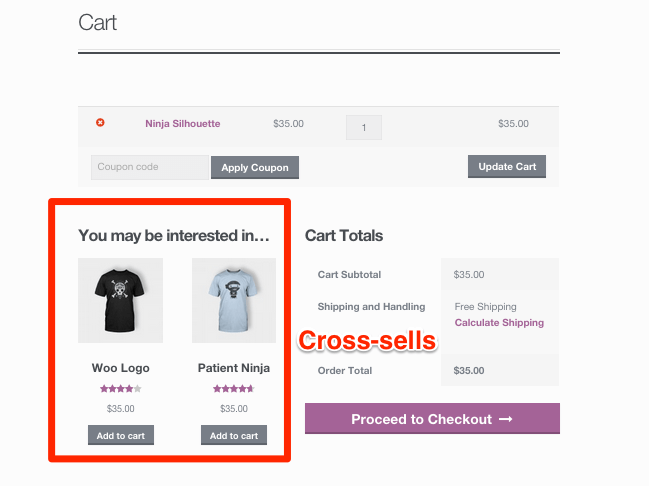 Cross-sells are products you promote to your customer which are complementary to the product they are about to purchase. These usually display in the cart page. These are product recommendations based on WooCommerce’s recommendation engine which uses tags or categories to make automatic suggestions. The site admin can’t directly set up which products are recommended, though you can control what is displayed by adding the appropriate tags and categories to the products. These are usually displayed on the product page. For the last 3 years I been selling health supplements on my own WooCommerce store. I started with just one product, tongkat ali, this picked up quickly by Google and soon enough there were decent sales. Then after some time, I added another product that was complementary to tongkat ali, maca. 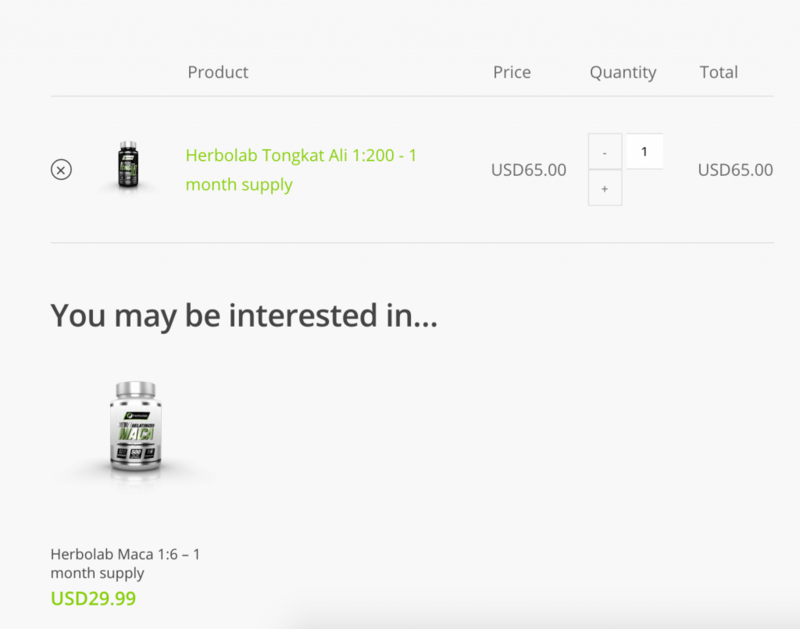 The expectation was that people would search in Google for tongkat ali, see the maca product, add both to the cart and complete the checkout. For this I was relying in WooCommerce default cross-sell and related products system. In addition, I made a few bundles with attractive pricing to encourage buying both products together. Unfortunately, the results were rather disappointing. People were still buying tongkat ali, but there were little sales for the maca product or any of the bundles. 3 months after maca was introduced and sales for maca and bundles were still quite low. After some analysis, I realised that perhaps people were too used to see these kind of suggestions as advertising, and hence they could be ignored due to banner blindness. If I wanted to encourage sales of maca, I needed to use some strategy to overcome the banner blindness. One way to get past the blindness is to force the user to make a choice of the products to buy from one location where all products are displayed. This way, the bundling of the products becomes a conscious decision rather than following the checkout flow by inertia. Shipping information has to be very clear. Most questions I was receiving were shipping-related. If I could address them in the buy page, it would save me and my customers a lot of time. The customer must choose the products to buy in an interactive way. I wanted to display live offers as the customer selects the products they wish to buy. This way the customer would be encouraged to select more products and/or increase the quantity of products. Common objections should be addressed here, this would probably increase conversion rate. Offer an easy way to contact for those who still have concerns. It removes uncertainty by displaying final prices for all the different choices. The fact that orders under $100 incurs in shipping charges was largely overlooked and users were often surprised with shipping charges at checkout, resulting in cart abandonment. It represents a great opportunity to build trust and answer common questions right before the user decides to pull the wallet. I found this to be a great place to answer possible objections about shipping, payment, information about the company, etc. Although it may seem like this might not work for a store with hundreds of products, the basic concept still applies. 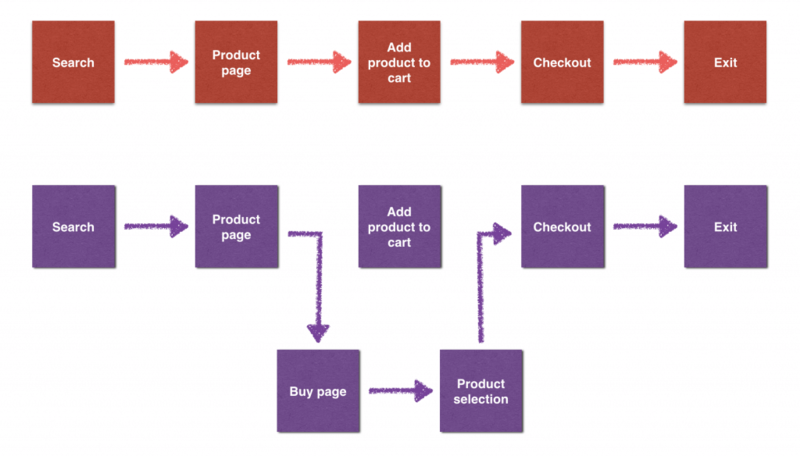 Analyse the checkout flow of your customers and identify products that serve a need that could be bought together and benefit from being displayed on the same buy page. If you want to easily create product selectors with live offers, get the SIP Front End Bundler for WooCommerce. I crafted this plugin to create the perfect buy page. After I discovered its value, I made it 100% customisable and released it as a standalone plugin for WooCommerce. You can include the bundler in your product pages, this way the customer have the choice to add products and checkout from the product pages itself instead of going through cart and multiple product pages. You can also create separate pages for your bundled items and add them to your main menu, this way they will be easily accessible to your customers. Up-sells, cross-sells and bundles are great ways to increase revenue for any ecommerce store. However, I found that users have been exposed too often to these techniques, resulting in banner blindness. One great way to avoid this banner blindness and encourage users to buy more products is the buy page hook. 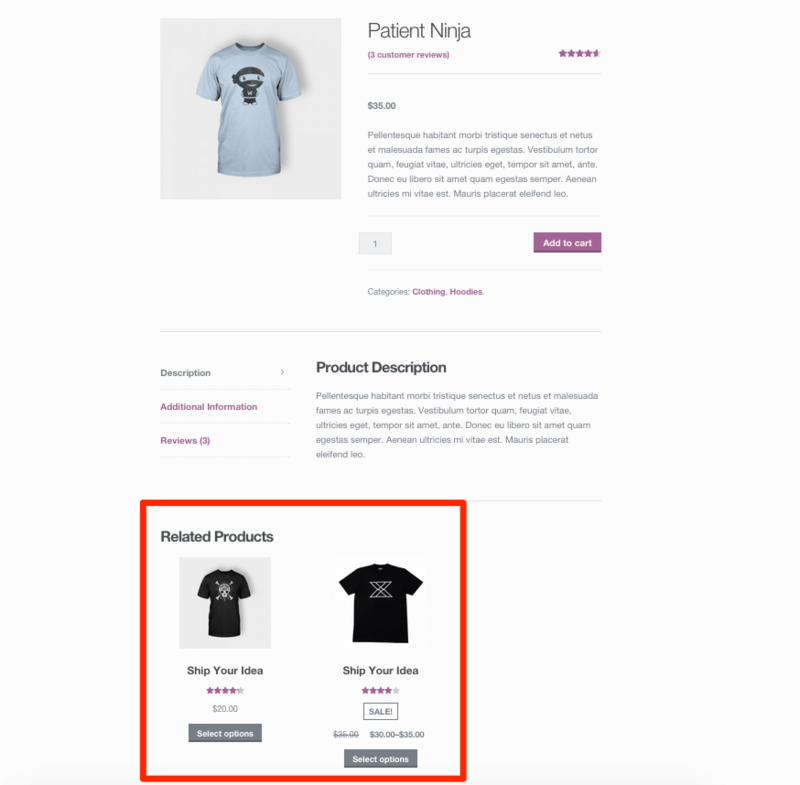 You can create a great looking page hook with the SIP Front End Bundler for WooCommerce. If you tried this approach I would love to hear your experience, share it in the comments!